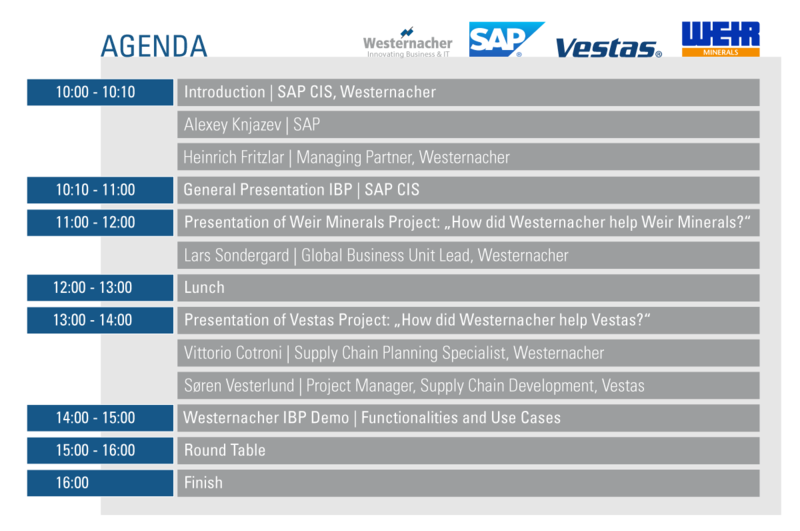 As a proven, long-standing expert for integrated business planning solutions, we invite you to join our workshop on SAP Integrated Business Planning (SAP IBP), to be held on February 8th in Moscow. During this event, our customers Vestas from Denmark and Weir Minerals from Australia will give profound insight into their successful SAP IBP projects with Westernacher and the underlying key success factors. In addition, you will have the opportunity to talk with our supply chain experts about current issues and challenges that are facing your organization.